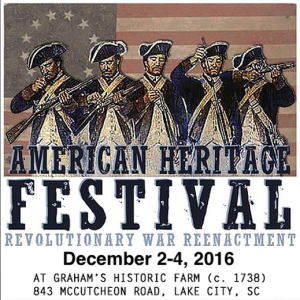 Francis Marion University history professors Dr. Scott Kaufman, and Dr. William K. Bolt will be featured presenters at the second annual American Heritage Festival at Graham’s Historic Farm in Lake City, South Carolina, Dec. 2-4. 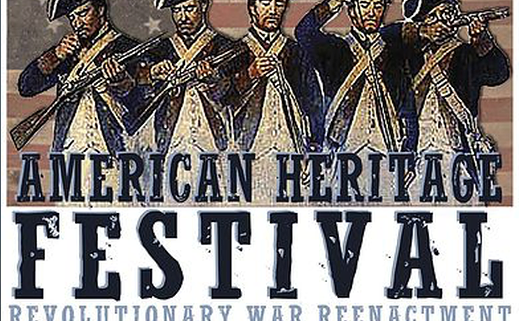 The festival, held on a site used by FMU namesake Gen. Francis Marion as a base of operations and a hiding place during the American Revolution, features Revolutionary War enactments, a Colonial Christmas village, food, music and more. Kaufman, chair of FMU’s Department of History, will kick off a series of historical presentations on Saturday at 10 a.m. with a lecture entitled “Francis Marion: Legend and Lies.” Bolt, an assistant professor of history who specializes in Colonial America, will speak on South Carolina’s role in the conflict, the constitution and the Colonial economy at noon, Saturday. Students from FMU’s highly decorated Phi Alpha Theta History Honors Society will serve in a variety of volunteer roles during the festival. FMU is one of several sponsors of the event. 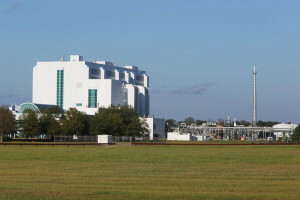 “FLORENCE, S.C. – A little over a year ago, Roche Carolina Inc. announced a restructuring as the Switzerland-based pharmaceutical concern sought a buyer for its Florence facility. 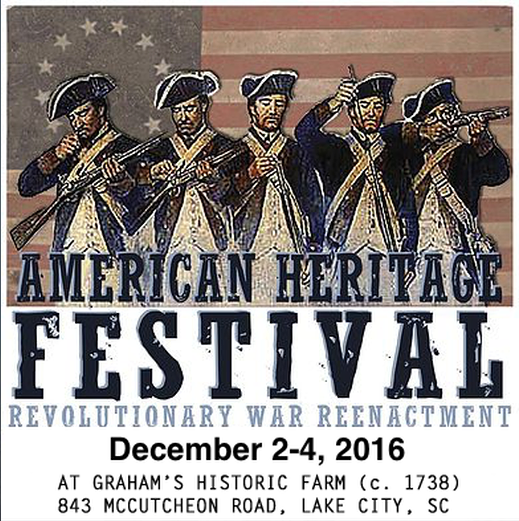 Come celebrate history at The American Heritage Festival in Lake City, South Carolina! 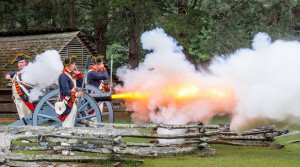 Watch the battle reenactments, take a walk through the colonial Christmas village, visit the merchants, grab a beer in the party tent, listen to the speakers, enjoy the bands, and see where Francis Marion’s men hid from Lord Tarleton and brought British prisoners. Night of Light festivities will be held on Saturday, December 3rd. Battle Reenactments. 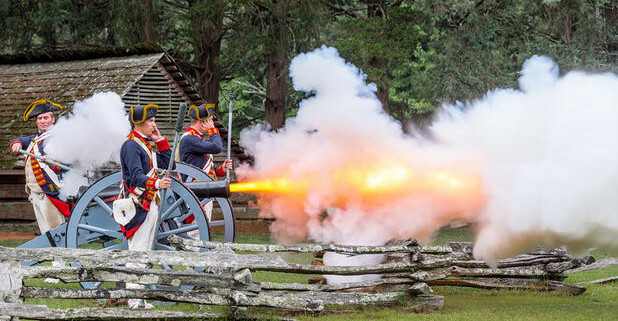 Cannon & Musket Display. Fife & Drum Corps. Historian Presentations. Christmas Village. Food & Beer Tent. Hayrides. Marshmellow Roast. Wreath Decorating. Marsh Tacky Horses. Colonial Circus. Live Music. Santa Claus & Mrs. Claus. FLORENCE, S.C. – Dec. 1, 2016 – Sharonview Federal Credit Union, one of the nation’s top 200 credit unions, will celebrate the brand-wide refresh unveiling at its Florence branch on Thursday, December 8th, from 9 a.m. to 5 p.m. Members of Sharonview’s Florence staff will welcome local government officials, Chamber of Commerce representatives and community members to gather at the branch for a ribbon cutting and day of celebration. The new rebranding marks Sharonview’s commitment to growth and its members. As its services reflect a modernized approach, Sharonview is excited to share its new brand identity with local Florence members. When: Thursday, December 8 from 9 a.m. to 5 p.m.
Ribbon cutting will take place promptly at 9 a.m.
Charles A. 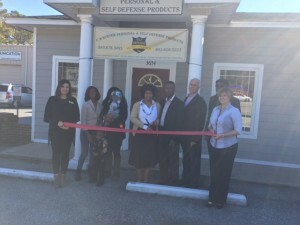 Hunter, President and CEO of C A Hunter Personal and Self Defense Products. Which was established in 2013. 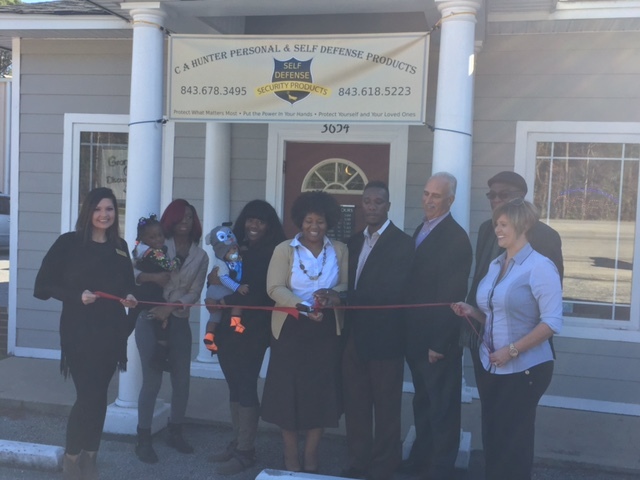 Their mission is to provide safety products that are effective and efficient to protect you and your family members. Every life matters and protecting yourself as well as your loved ones is our ultimate goal. 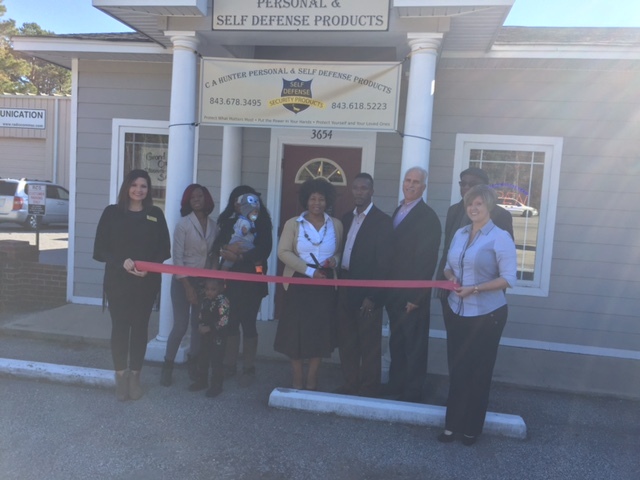 CA Hunter is the only self-defense product store within a 250 mile radius of Florence. On Tuesday, November 15th the Florence Chamber welcomed new business owner, Michael Ulmer, with a ribbon cutting ceremony for Transworld Business Advisors in the James Allen Plaza. 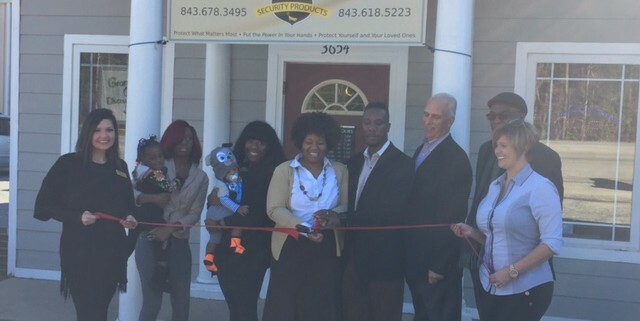 The franchise brokerage business is located at 1001 W Evans St in Florence. You may contact them at (843) 799-2948 or visit them online at tworld.com/florence/. “FLORENCE — Jay Lavrinc wants people to start thinking about shopping local. “We want them to think about shopping locally the whole holiday season but this campaign kicks off on Nov. 26 th ,” he said Tuesday. Lavrinc is the director of membership relations for the Greater Florence Chamber of Commerce and was referring to a campaign known as Shop Local; Shop Small that partners the chamber with American Express. Lavrinc and chamber staffers have been visiting a variety of businesses around town to give away promotional items and asking proprietors to use social media to spread the word about their business and the push to keep Christmas spending in the community. Small Business Saturday was launched on Nov. 27, 2010, according to American Express, to encourage people around the country to support local businesses. In 2011 the U.S. Senate passed a resolution in support of Small Business Saturday and in 2012, President Obama and elected officials in all 50 states championed the day. In 2013, 1,450 neighborhoods pledged to support it and in 2014, an estimated $14.3 billion was spent at small independent businesses on Small Business Saturday. In 2015, American Express said, 95 million people went out to shop at small businesses as the day was embraced as a holiday shopping tradition. He thinks the Black Friday weekend time frame favors malls and big boxes whereas smaller, independently owned stores such as his rack up the most sales in the two weeks leading up to Christmas. 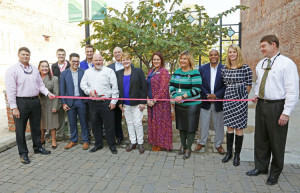 “FLORENCE, S.C. — Nov. 17, McLeod Health will conclude a year-long celebration of 110 years of providing care to the region with two free public events in downtown Florence: a Historical Marker Dedication Ceremony at the Florence County Museum, and a Commissioned Choral Symphony presented at the Francis Marion Performing Arts Center. At 5:30 p.m., a marker from the South Carolina Department of Archives and History will be unveiled on the 100 Block of West Cheves Street, adjacent to the Florence County Museum — the site of the original McLeod Infirmary established by Dr. F.H. McLeod in 1906. The McLeod Infirmary was located here in 1906, inspired by the need to provide access to local medical and surgical care for the people of the region. Frank Hilton McLeod was born in Richmond County, N.C. in 1868 and graduated from the University of Tennessee Medical School. 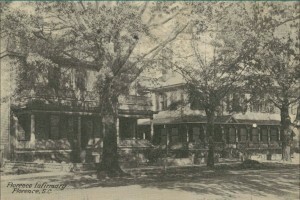 In 1891, he moved to Florence and chartered the Florence Infirmary. By the 1920s it was the third largest hospital in the state. 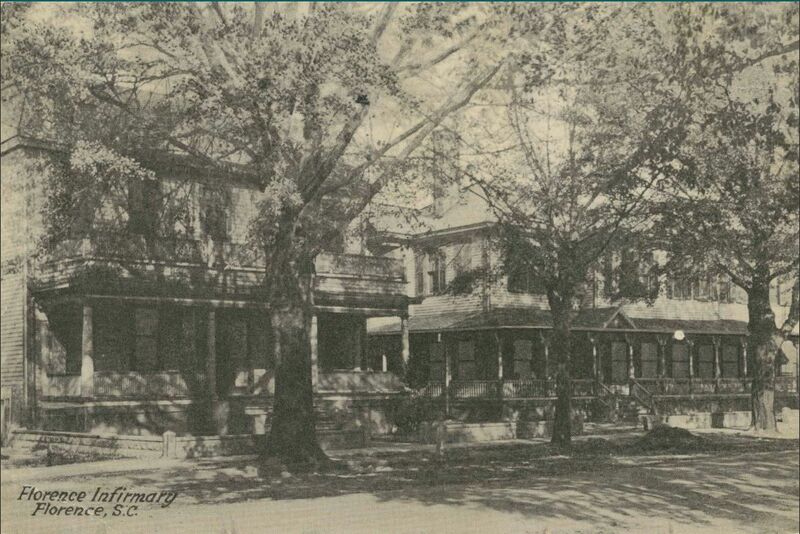 In 1930, with the assistance of the Duke Endowment, McLeod Infirmary became a non-profit institution. A new building opened in 1935 and expanded capacity to 190 beds. Renamed McLeod Memorial Hospital in 1971, expansion continued when 14 blocks of Urban Renewal land were acquired just east of this location. The McLeod Regional Medical Center opened in 1979 with over 300 beds and improved acute care facilities. This marker is the first to be placed in the core of the revitalization of downtown Florence. At 7:30 p.m., the Florence Symphony Orchestra, The Masterworks Choir, and Soloists will present “It Is Well – A Healing Suite,” a commissioned choral symphony at the Francis Marion Performing Arts Center. The four movement work is composed by Dr. Brandon D. Goff, Professor of Music at Francis Marion University, and uses familiar hymns with texts centered on healing and comfort: There Is a Balm in Gilead, Abide With Me, Stand By Me, and It Is Well with My Soul. The symphony will be conducted by Dr. Terry Roberts and features soloists Roger Kirby, Gracie Myers, and Rebecca Thompson, and speaker David Hamilton. The auditorium will open at 7 p.m. for general admission seating. These events are gifts to the community from McLeod Health and have no admission charge. 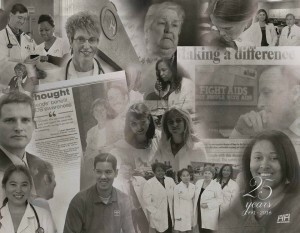 Please join McLeod in celebrating 110 Years of reflecting on our past and caring for your future. 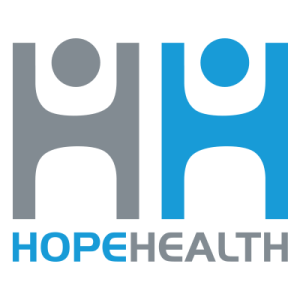 When I first arrived to HopeHealth in 2000, I was one of only six employees. In a 3,000 square foot office, we provided HIV/AIDS services to nearly 400 clients per year. Fast forward fifteen years later and you will find an organization that looks a bit different than the small grassroots non-profit that started 25 years ago. HopeHealth now occupies twelve buildings across the state. We provide community health center services in three counties and HIV/AIDS services in twelve counties across South Carolina. We have nearly 300 employees and serve approximately 35,000 patients a year with a budget over $50 million. It is hard for me to comprehend at times. Occasionally someone will ask the question, “How did you do all that in such a short period of time?” I think there are a few ways to answer that. First and foremost, we believed. We trusted in a power greater than ourselves to guide and lead us and God has truly blessed our faith. Second, we rejected mediocrity. We hired team members that pursue excellence and that pursuit has led to success. Finally, we took some risks. We tried some things that were a little out of the box. We failed here and there. Ultimately, those risks and failures aided us in our growth and helped us accomplish more in the long term. What will the next 25 years look like? I’ll be honest, I have no idea. I do know that we will aggressively pursue solutions to the health problems that plague the citizens of the counties that we serve. We will find new and innovative ways to reach people that are disenfranchised by the system. We will focus on quality and begin sharing data with the community that demonstrates the difference we make in the lives of our customers and the impact that has on the community. We will strengthen our commitment to prevention, understanding that many of the health care problems that plague our loved ones can be avoided if we better educate ourselves about the importance of exercise, nutrition and healthy lifestyle modifications. We will work hard to strengthen our already strong relationships with our area hospitals and other community partners, realizing that real and lasting change will come faster if we work together and depend on each other. I’m humbled by what the team members at HopeHealth have accomplished and I’m excited to see what God has in store for us over the next 25 years! Thank you all for 25 incredible years! “FLORENCE, S.C. – When Marvin Owen returned to his hometown in 1983 to work as a programmer for what was then known as Computer Dimensions, the burgeoning software company had six employees and 60 clients. 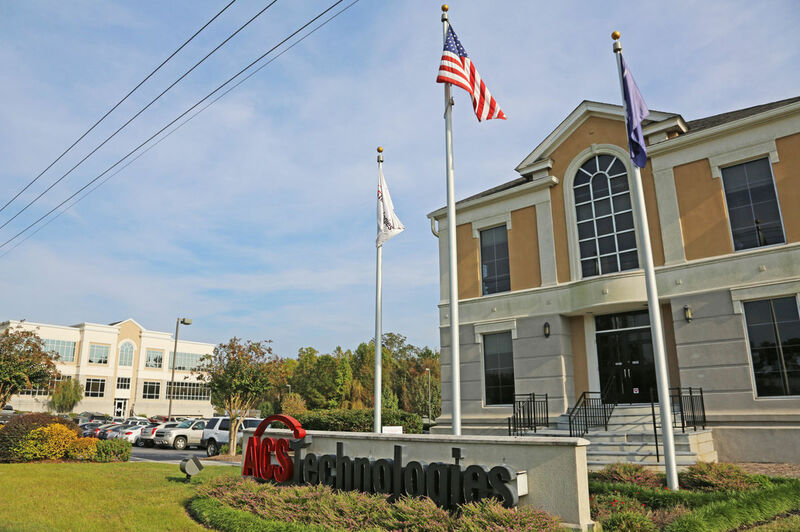 Today, ACS Technologies employs 390 people – 270 in Florence – and has 50,000 clients all over the country. Globally, it has clients in 16 countries across Europe and Asia and has 250 clients in Canada that use software for churches designed, tested and produced on the company’s Dunbarton Drive campus. Owen earned a computer science degree at Furman University and recalls using an IBM 1130 computer that was only available to students after 10 p.m. when the school was done for the day. Solving math problems and playing chess matches on the keypunch computer stoked his desire to learn more and helped him decide on a career in programming. He also saw the need to gird his technical know-how with a structured sense of the business world and earned an MBA at Wake Forest University. After grad school he found working for a multi-faceted consulting firm out of Charlotte to be less than ideal. It was very high pressure, he said, and overly aggressive. While he did have several solid years of learning various computer systems and how they interfaced with hospitals, he decided he wanted to change jobs and started looking at what might be open back in the Pee Dee. Founded by Harris Rogers, Tom Rogers, Billy Campbell, and the Rev. Iverson Graham, the tech start-up looked at a church’s database and the bookkeeping side of things to develop what was known as an automated church system, which soon became the name – ACS. It struggled at times, but Owen said the founders believed in the company and provided key financial backing in lean times. 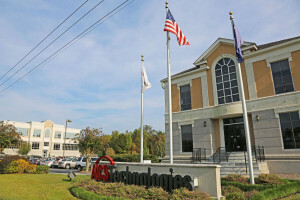 A series of acquisitions in the 1990s expanded the company’s brand recognition and reach with offices in Arizona, Washington state and a regional hub in Greenville with 10 programmers. “Our original mission was to provide software for churches, pastors and the computer person – that’s still the mission today,” he said. There are some schools that ACS Technologies count as clients, but 95 percent of its customer base is churches. With service to 70 different denominations, ACS is known now as a leading provider able to provide constant support as the robust marketing and sales arms works to explain the newest cloud-based product, Realm.